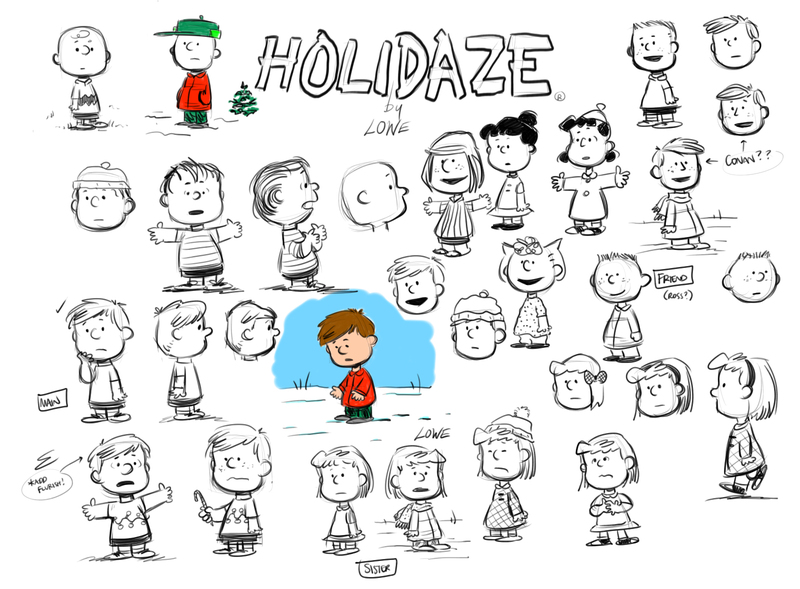 As previously mentioned, from December first through the twenty-fifth, I created a daily Peanuts-styled comic strip called Holidaze. 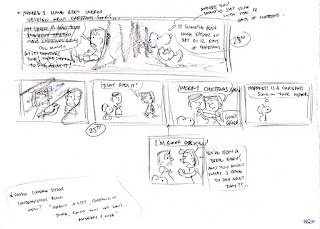 Each strip was based on taking a different Christmas song or song lyric and trying to turn it on it's head in a way that was entertaining and perhaps even unique. 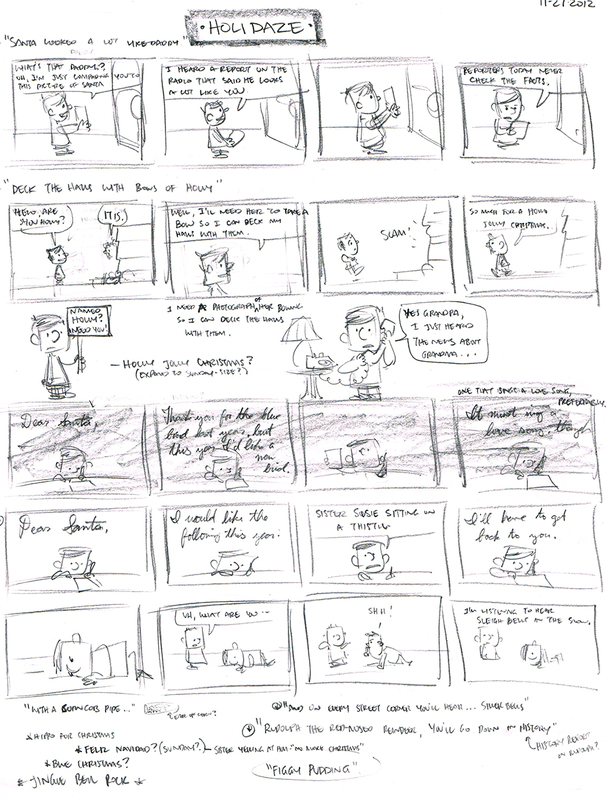 I actually came up with the idea back in 2011, creating four strip ideas and a couple character sketches at that time.. 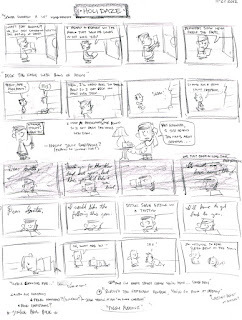 Unfortunately (or perhaps fortunately, based on how crude the drawings and concepts were), my school-load was too great at that time to warrant creating a daily comic strip. This year, however, I had an open schedule and was free to truly explore this world and create some hopefully memorable situations. It all began with some sketches. 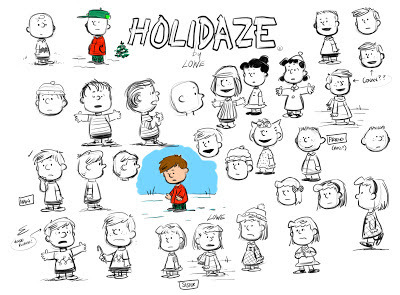 Since I knew the world of Holidaze was based on the look and tone of the world of Peanuts, I started there, learning as much as I could about the Charles Schulz Look and adding my own flourishes to create my own original characters..
Once I had my characters, it was time to put them into comedic situations. 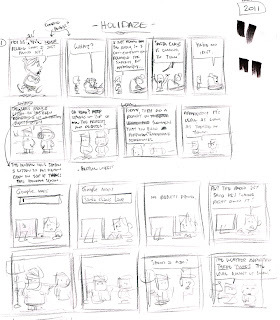 My initial concepts and thoughts were scribbled down on paper..
Once I had decided the gag and pacing of a strip was ready to move forward, I jumped over to Photoshop and created a digital rough of what the comic would be. 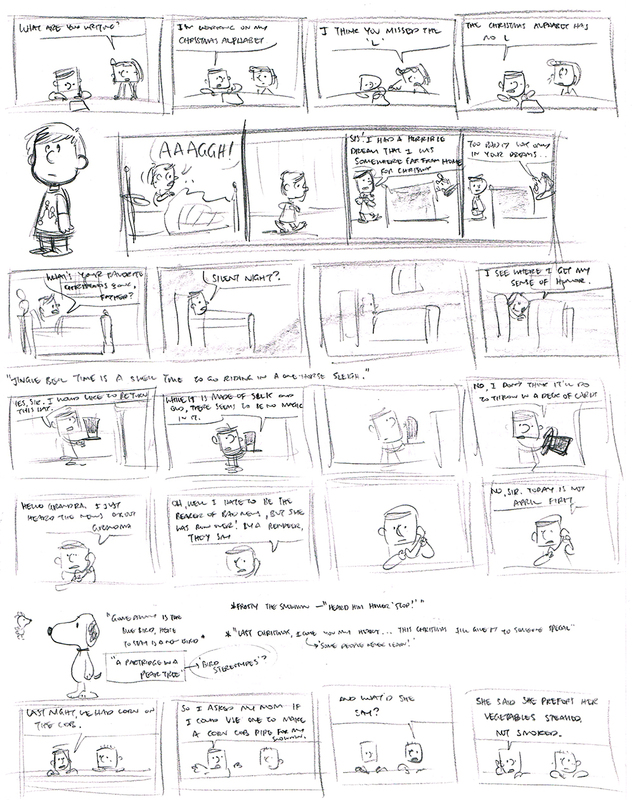 I also used a font based on Schulz's handwriting for the text of the comics..
At this point, I would play around with the best layout and rewrite the dialogue until I had it just the way I wanted it. 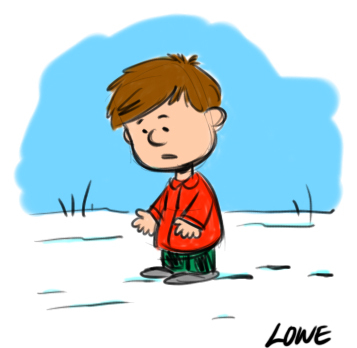 Then, I would add a non-photo blue screen Photoshop layer on top and print it off on an 11x17" sheet of card stock paper..
Then the relaxing, fun part of the process begins. Out comes the ink and nibs! 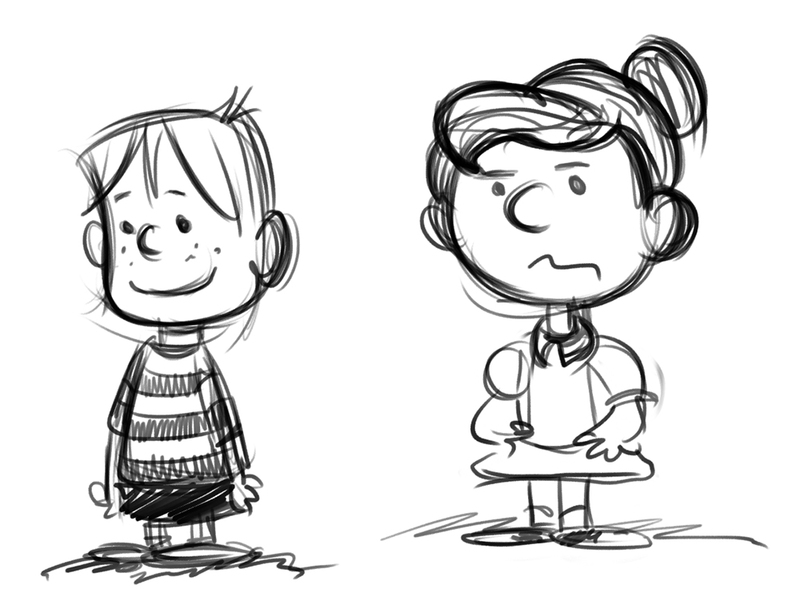 It's all about the artwork at this point.. 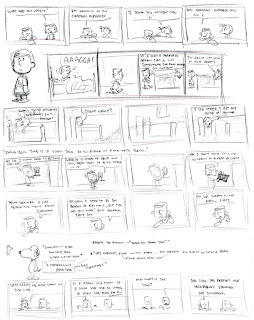 The final step is to scan the artwork back into the computer, clean-up in Photoshop, [add color for the Sunday strips], add the logo and © info, and share with my adoring fans.. 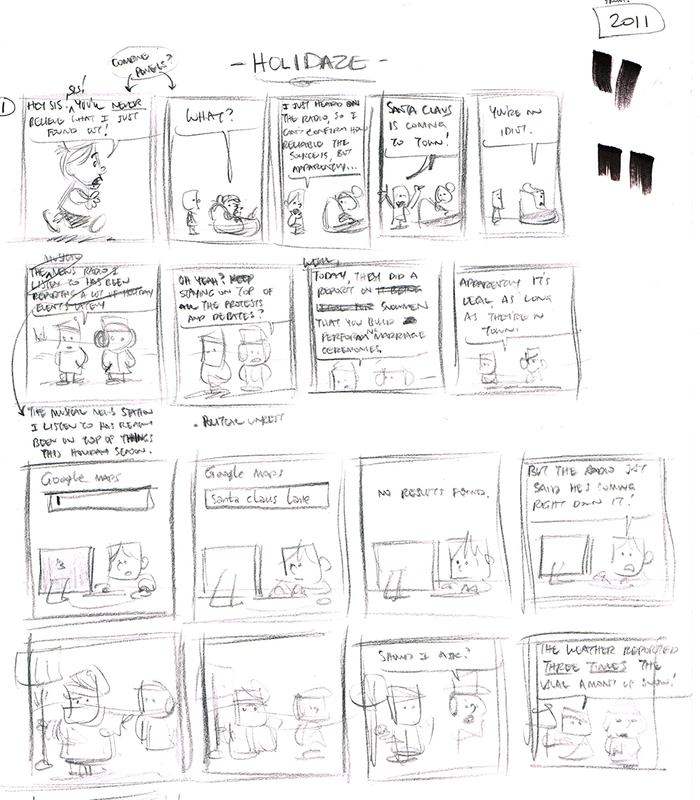 I hope everyone enjoyed reading Holidaze as much as I enjoyed putting them all together.